Looks like 2018 is beginning to look like the year for gaming smartphones to emerge. 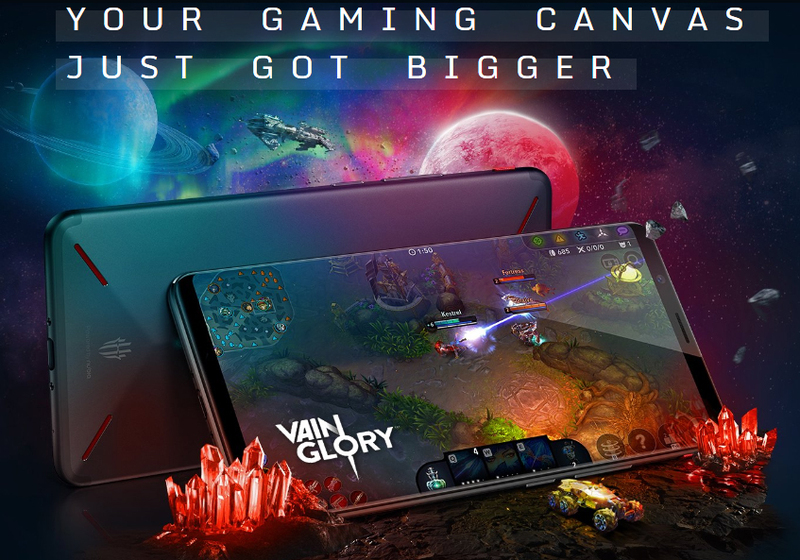 Recently we welcomed the arrival of Xiaomi’s own gaming phone, the Black Shark and now, Nubia has unveiled their own version of a gaming phone. For those who doesn’t know, Nubia is a subsidiary company to ZTE, another solid phone maker from China. Before today, I have only seen the teaser or some bad quality and low resolution photos of the Red Magic. Now since it has been announced, we get to see in its full glory. Unlike the Black Shark, the design for the Red Magic is inspired more like a battleship, a little more “edgy” I would say. The back of the phone looks impressive and it includes a strip of colourful LED running across the back. The LED is of course can be configured to produce the colour of your choice. There are also three vents for some sort of air cooling and graphite layers for quick and even heat dispersion. The fingerprint sensor is located right in the center and I feel that it is a suitable spot to place it. It follows the same hexagon shape as the camera, which is unique to its own. Now, the Red Magic comes with a 6″ LTPS display of 2,160 x 1,080 pixel resolution. The whole thing is covered by a piece of NEG Dinorex T2X-1 glass. I don’t know what that means but it sounds cool. Somehow the Red Magic will come with the slightly older Snapdragon 835 as opposed as Black Shark’s Snapdragon 845. It is also coming with either 6GB or 8GB of RAM, depending on the storage space that you’re buying, that is either 64GB or 128GB. I don’t know why Nubia opted the SD835 for the Red Magic, but I’m sure it won’t disappoint. The Red Magic also has a special key at the side to turn on the performance mode. That means it will activate the phone to enhance all its power resources towards the CPU and GPU for maximum gaming experience. While the Red Magic is a gaming phone, it still doesn’t disappoint in other areas such as the camera. The Red Magic impresses with a 24MP main camera with f/1.7 bright lens. There is also an 8MP front snapper with f/2.0 wide-angle lens. One thing that I find a tiny bit disappointing is the speaker setup. I mean, this is a gaming/entertainment phone right? But alas, it only comes with a single loudspeaker that supports DTS. That’s a bummer because having two speakers would make a whole world of difference. Battery is 3,800mAh with fast charging, so that’s should last you a whole day. It also comes with Android Oreo 8.0 out of the box and it runs on a new Red Magic launcher, specifically made for the phone. 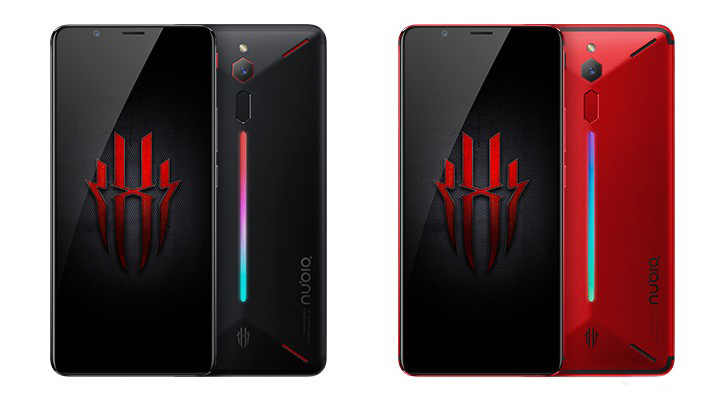 The Nubia Red Magic will be available on April 26 via IndieGogo for $399. In China you can order the phone starting April 25 for CNY 2,499 ($399) for the 6GB+64GB model, or CNY 2,999 ($479) for the 8GB+128GB. Some of the first orders could receive free t-shirts, backpacks, among other goodies.